Pomorie, a town with a population of 15 thousand, is halfway between Bourgas and Nessebar / Sunny Beach, about 20 km away from each. It was probably founded in the 5th or 4th century BC, as part of ancient Apollonia, today’s Sozopol. 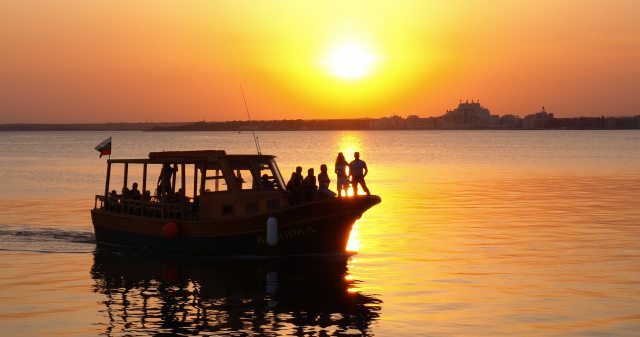 Apart from the waterfront by the Black Sea, Pomorie has its own lake as well: the saltwater Lake Pomorie is protected, it is the habitat of 215 bird species, and because of its healing power it was called the Holy Lake in ancient times. Many people still visit Pomorie today to get the healing mud treatment, using the mud from the lake in all health spas in town, to cure skin problems and locomotor disorders. Among the architectural monuments of Pomorie it’s worth to mention two churches from the 18-19th century, which are in very good condition. Great option if you are looking for a cheap holidays in Bulgaria - check our website for the best deals to Pomorie.